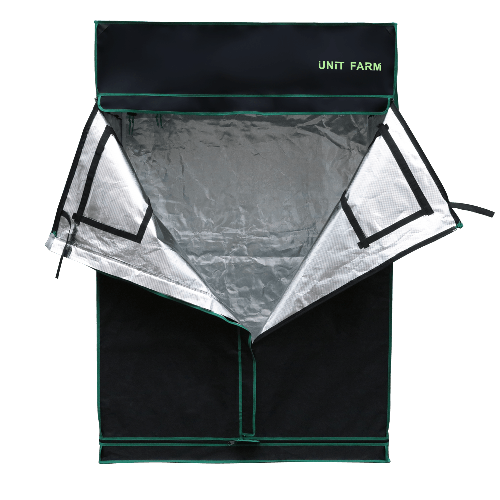 The UnitFarm UFG grow tent is made with 1680D threaded reflective fabric, which is 3 - 5x thicker than others. It offers noise reduction, is odor resistant, light leak proof, providing you with the best indoor growing environment. With 100% metal components for the frames, each pole connector piece is 100% solid steel, and can hold up to 300 pounds. 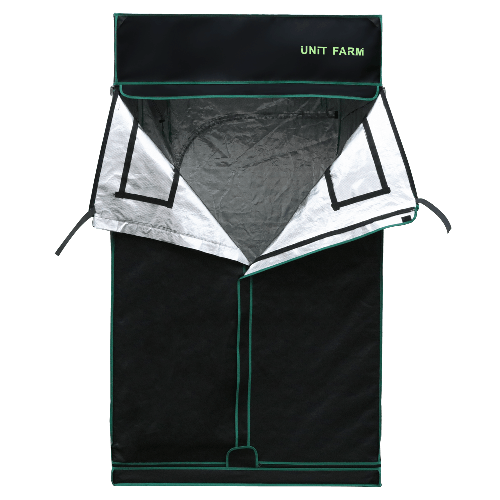 With 1680D cloth, our grow tents have double nylon stitching hemming, with ribbon, and with our industrial-strength zippers, UFG grow tents can protect your plants from any light leak. UFG grow tents can stop 90% noise inside, to ensure that you enjoy a quiet growing cycle, and with our waterproof design, these tents will protect your equipment inside, thereby promoting a more seamless grow process. 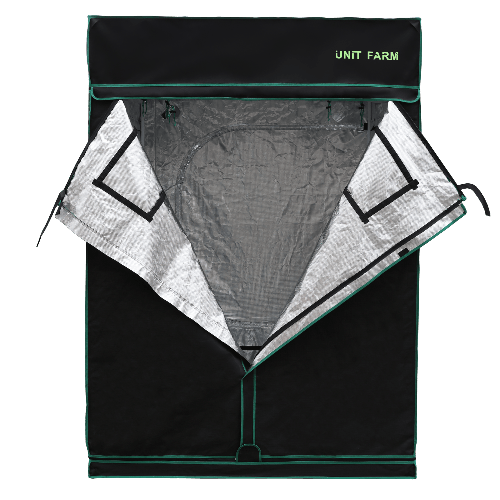 With paper instructions and an online video guide resource, UFG grow tents are safe and easy to assemble. Our window visibility design contains velcro seals, allowing you full monitoring capability, thereby minimizing frequent physical contact with your growing environment.